Make your pool the crowning glory of your backyard. 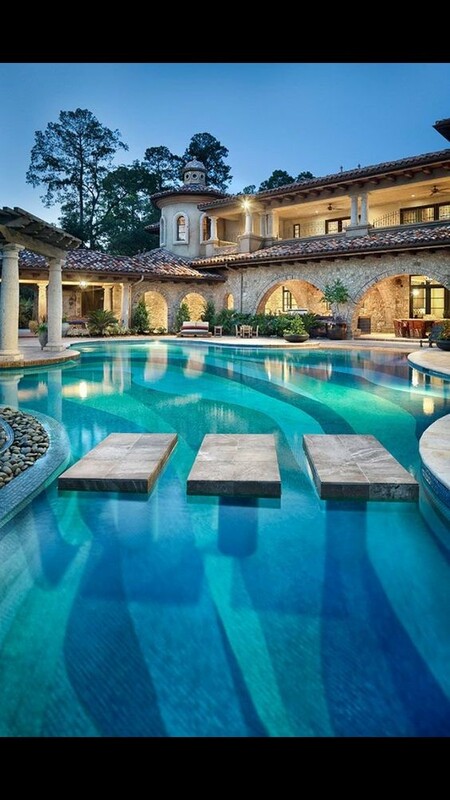 A recent trend with pool owners is to have designs on the bottom of your pool. Some have even gone as far as recreating the images of a lost city on the bottom of the ocean. Putting the perfect picture on your pool bottom will create that backyard oasis that you’ve always dreamed of and you’re only limited by your imagination. Whether you own an in-ground swimming pool or an above ground pool, a design is one surefire way of making your backyard pool a thing of beauty. 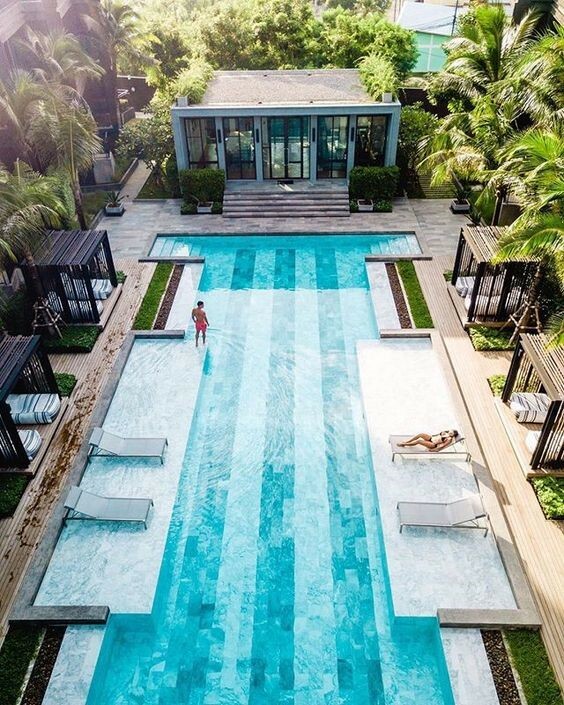 A quick Google search and scroll through some images will give you an idea of the potential aesthetic gains of prettying up your pool bottom with a simple or elaborate design. Before deciding what design for your pool bottom, you might first need to decide on the overall look you’re aiming for. A more novel approach that is quite popular is putting designs of sea creatures in your pool: a shark, dolphin or killer whale to name a few. 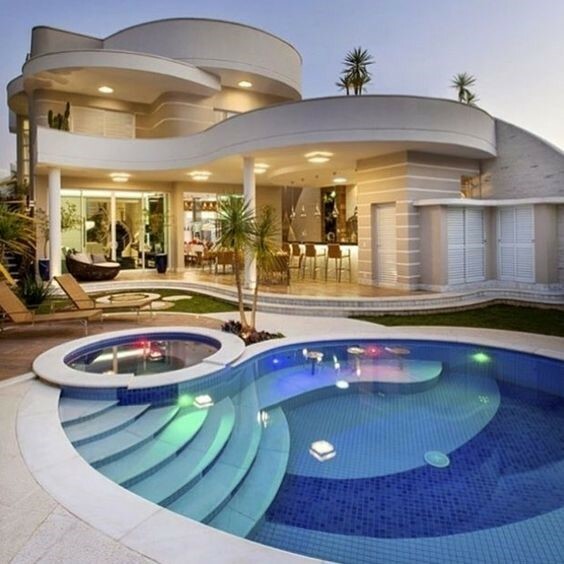 Some of these designs look so lifelike that your friends might even think twice about putting their feet in the water. Others designs feature lifelike landmarks and cities that look great at the bottom of your pool. So why not transform your pool into a sunken city or a submerged treasure island? These designs add texture and also look stunning from a distance. You could also turn your pool bottom into an exotic yet beautiful reef. Imagine you and your friends swimming around the pool, getting lost in the magical coral and fish of the Great Barrier Reef. Again, your imagination is the only limit when choosing the picture-perfect pool bottom, so why not get creative and design something will have your backyard pool stand out from the rest? Or perhaps even opt for a sunken ship at the bottom of your pool. Textual designs are also quite popular. They can be used to give your pool the aesthetic of a sandy bottom or perhaps pebbles. Textual designs are a great way to make your pool look great and have a cool vibe that will have your neighbours talking. A textured effect will also give the appearance of more depth and perspective. Swimming pool art comes in a range of mediums. One of our favourites, as there is no commitment involved, is the drop in style. Simply place the decal on in the pool where desired and it sinks down and stays there: a simple way to spruce up your pool this summer. 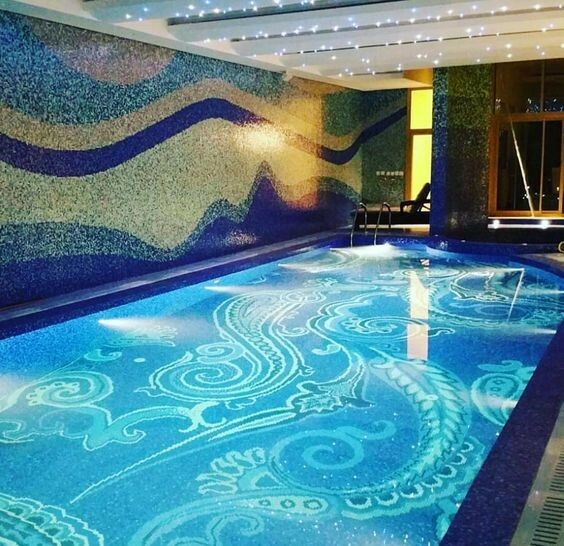 There is an extensive range of methods and artists who specialise in pool art and a Google search on the internet will put you in contact with someone who can help – or ask us at Blue Haven pools and we can help with your vision, or for artist recommendations in your area. Give your pool a makeover this summer with some pool art for a picture-perfect pool bottom.